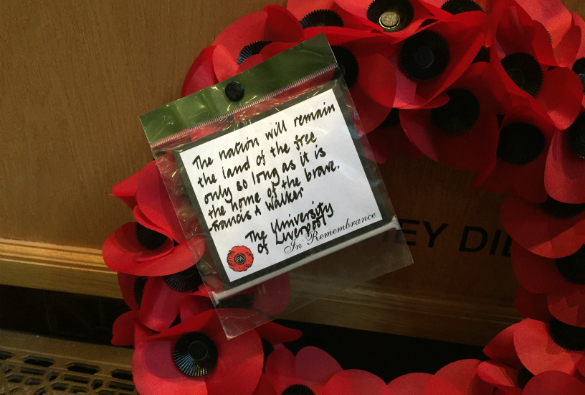 The University has held its service of remembrance to honour the memory of staff and students who gave their lives in the First and Second World Wars and other conflicts. 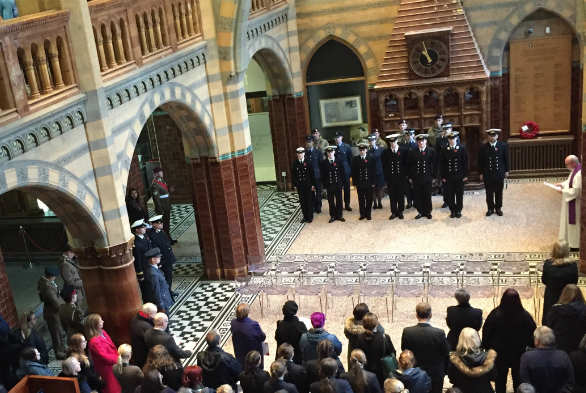 Held in the Victoria Gallery & Museum, wreaths were laid at the two memorials commemorating those who died by Executive Pro-Vice-Chancellor Professor Louise Kenny and Lance Corporal Ronnie Ryan from the Duke of Lancaster Regiment. The Last Post, used as a final farewell, was played by Dora Michael from the School of Music to start the two-minute silence at 11am. University chaplains Father Neil Ritchie and Zane Abdo presided over the service, which was attended by members of the Military Education Committee, staff, students and members of the public. 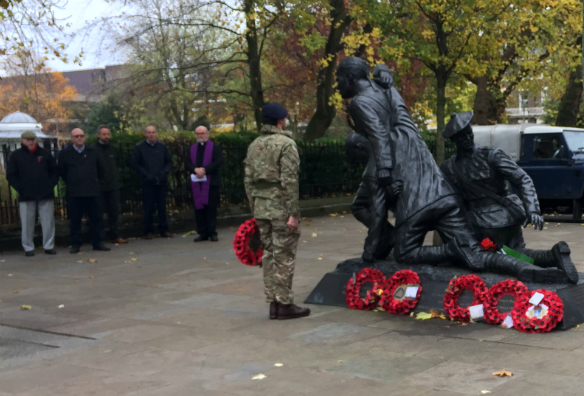 Wreaths were also laid by the Royal Navy, the Army and Royal Air Force at the Chavasse memorial in Abercromby Square which commemorates Captain Noel Chavasse, the only soldier to be awarded the Victoria Cross twice in the First World War and fifteen other Liverpool-born Victoria Cross recipients. Ahead of the service, pupils from Notre Dame Catholic College laid plaques in the Victoria Gallery & Museum to commemorate local soldiers who lost their lives in the First World War. 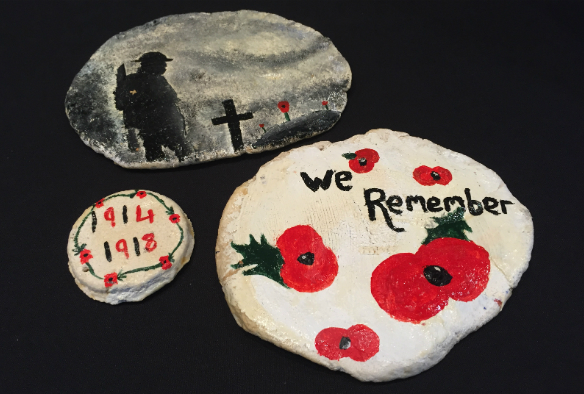 The plaques were designed and painted by the pupils and each features the story of a different soldier on the back.